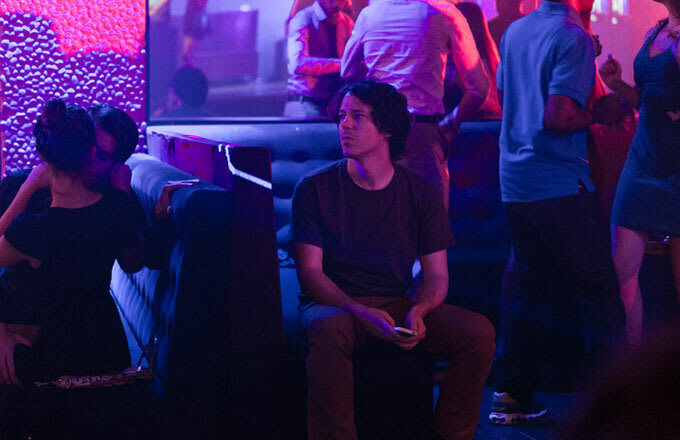 John Gallagher Jr. on "The Newsroom" Ending: "It's Bittersweet"
tara aquino (@t_akino) is an independent writer and producer. John Gallagher Jr. is keeping himself busy these days. While he&apos;s currently filming another HBO project, the miniseries Olive Kitteridge, the 30-year-old actor is prepping himself for the final season of the Aaron Sorkin-produced The Newsroom. ​It’s bittersweet. If you’re lucky to get on a show that you like and that you believe in and you have a good time doing, you want it to run for years and years. I don’t think that the show suffers for being only three seasons. We got a lot out of it...It feels kind of right, to me...I’ll miss everyone. I made a lot of really great friends working on this show and I had a great time doing it, so it’ll be sad to walk away from it, but I do feel like we&apos;re walking away in a strong place. Aside from reciting mile-a-minute lines for Sorkin however, Gallagher Jr. has busied himself with remarkable independent film projects. This weekend, he&apos;s premiering his thought-provoking SXSW hit, The Heart Machine. Directed by newcomer Zachary Wigon, Gallagher Jr. plays Cody, a lovesick New Yorker in a long-distance online relationship with the mysterious Virginia (Kate Lyn Sheil), a woman he&apos;s never physically met, but might be closer to him than she&apos;s willing to admit. Suffice it to say, it&apos;s a necessary and timely exploration of love and identity in the social media age. 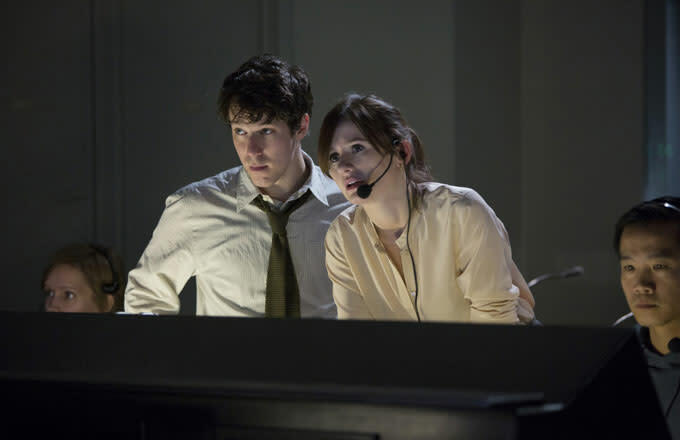 Read on as John Gallagher Jr. discusses the idea of love in the digital age, the criticisms surrounding The Newsroom, and what&apos;s next after the series wraps. Why do you think online dating is so prevalent nowadays? Well, I think that naturally we&apos;ve become more accustomed to having that barrier, that way you can keep yourself at a safe distance. It’s definitely easier [online] to ice somebody out if you’re not talking to them in person, but also—​and this is something that happens in The Heart Machine—​you can frame yourself in the most flattering way, through social media or an online dating profile. I’ve never tried it so I don’t know about the benefits of online dating, but it seems to work for a lot of people. It&apos;s also that we&apos;ve gotten more comfortable with communicating with each other through technology, so I wouldn’t be surprised if that’s why it’s having such a surge. Another thing is that when you&apos;re on an online dating site, you and whomever you&apos;re interested in are both there because you want to find somebody, as opposed to going to a bar, where you have no idea what people’s intentions are. Yeah, exactly, and it’s just kind of a grind to go out there. You have to put yourself out there and you have to make more sacrifices, compromise, and put up with stuff. There is something that is very appealing about the straightforwardness of being like, "No, look, I’m doing this because I’m looking for love. I’m trying to find a companionship. 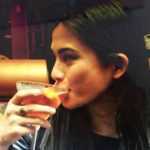 I’m trying to find a partner whose ideals and values align with my own." Are you one for the idea that we should focus on our identities outside of social media and not have our lives rely so much on the Internet? In The Heart Machine, why do you think Virginia strings Cody along? She says she cares about him, but she doesn’t want him in her world. The kind of crux of the problem between the couple in The Heart Machine is that they’re both really scared. They’re both insecure people, but they’re really, really scared to be that. For her, she wants to keep that distance because they do have a genuine connection. She found a way which, for her in that moment, is really working. I don’t think she wants to take it to another level because the fear is that once you’re really there with each other, it will all fall apart because it just gets too messy and too complicated because that’s life. There’s an implication, without spoiling the movie, that she leads a very mysterious, scandalous life. Yeah, she&apos;s still out there trying to find the other connection. Ultimately what they&apos;re both trying to do is find themselves amongst this crazy world in which we live. She’s out there figuring out what does she want and what does she need. Do you think a real relationship can exist without physical intimacy? I don’t know. I think love can exist in all kinds of forms and I think you can forge a real connection with someone before taking it to that level. The relationship in The Heart Machine, despite the fact that they never met in person, despite the fact that they never touched each other, that connection is very much alive. Of course, if you don’t want to have that other level then it&apos;s kind of hard. How much do you really know each other if you don’t have that added layer of intimacy and contact with each other? It’s kind of tricky in that sense. Love and connection can be born out of all kinds of instances. When you were filming, were you and Kate Lyn Sheil ever in the same room? What was the method for that? When we were filming all of the Skype scenes, we were in the same building, but we were on different floors. So, we really did have to film all of the scenes via Skype on real laptops. We were doing all of our acting via Skype, which of course comes with its own life-like problems, such as the Internet being kind of faulty and quitting in the middle of the scenes. Skype would freeze and I would just keep on talking and I thought that Kate was making just a long, dramatic pause, but it was frozen. [Laughs.] I’d be in a scene and I wouldn’t know it, but I’d be like, "Wow, she’s really pausing on this one." That can be really confusing because you don’t know what’s one person’s craft or not. [Laughs.] Yeah, exactly. It was fun to play around with that. That’s one of the reasons why the film is starting to resonate with people, because the way that we talk to each other now—Skyping, long distance relationships—​people recognize themselves as these two people communicating through a screen. Are you a believer in long distance relationships? Yeah, if you have a foundation and if you can find a way to communicate with each other, be honest with each other, and be there for each other when you’re far away. It’s obviously not easy, but it’s a hard world. Chances are you have a passion to follow and a calling. If you like to work, then your work is going to take you to faraway places; and if you’re fortunate enough to have it that way, you find yourself up against distance. It can work but it requires a lot. There&apos;s also the issue of trust and that’s never easy. Yeah, there is a lot of trust and faith, but sometimes, and this is the weird thing, you can have just as hard of a time being around each other 24/7 as you can have when you&apos;re separated by miles. Speaking of relationships, The Newsroom is coming back soon. Is your character, Jim, going to be love triangle-free this year? It’s hard to say. He’s found himself in this new relationship that we see blossom in season two, with the character Hallie, played by Grace Gummer. When we pick up in season three of The Newsroom, they are still together. He&apos;s doing his best to balance work life and his personal life in this new relationship, but, as always, things get complicated. Are his feelings for Maggie gone for good? Maybe, maybe not. Does it upset you that The Newsroom is ending early? It’s bittersweet. If you’re lucky to get on a show that you like and that you believe in and you have a good time doing, you want it to run for years and years. I don’t think that the show suffers for being only three seasons. We got a lot out of it. [The writers] were able to write some amazing episodes and have a lot to say by being very funny and very interesting. It feels kind of right, to me. It feels like we had a nice amount of time together to work on the show. We’re kind of quitting while we’re ahead, in a sense. I’ll miss everyone. I made a lot of really great friends working on this show and I had a great time doing it, so it’ll be sad to walk away from it, but I do feel like we&apos;re walking away in a strong place. Because your character interacts with every woman on the show the most, what do you think about the criticism that Aaron Sorkin writes hapless female characters? To my knowledge, that’s the criticism that he’s been getting for years and years, for as long as he’s been writing, basically. All I can say is that I work on a show with some really amazing, really incredible, talented women who are all totally happy to eat the show up and sink their teeth in that material. You can pick apart a text and find about a thousand faults with it and say, "Oh there are not enough good male characters, there are not enough good female characters, they’re all stock characters, they’re this or they’re that." I’ve noticed that the women that work on the show are incredible and they’re happy to be there. But I think it’s really interesting that that’s the conversation that happens a lot. I feel like there are a lot of shows on cable where there are female characters who are there to take their clothes off and then die. It’s fascinating to me that there isn’t more nitpicking of that. At the end of the day, I think it’s great that that’s something that’s under the microscope. I think it should be. I think it’s awesome that we live in a time where we can have these shows and actually have them spark really interesting debates and really interesting conversations. So what’s next on your bucket list? One thing I really have been trying to do in the upcoming year is release a record that I made with my original music. I’m hoping to put it out in the fall, in New York, where I live. I&apos;ve been wanting to share it for a while, and I finally have to carve out the time in which it&apos;s right to do so. The record itself has a rock &apos;n&apos; roll, Laurel Canyon, &apos;70s vibe. Some people have told me it sounds like Tom Petty and the Heartbreakers, but there’s an Americana element to it that gives it a little twang. And there’s some power-pop stuff on it. It’s kind of a weird, eclectic mix of tunes. Weirdly enough, I think it has a straight line that it can all stick to in a cool way. I made it like two years ago so it’s basically an old album, but the songs will be new to virgin ears once they finally hear them. As an actor, I have no idea. I just keep on looking for material that I find exciting and challenging. Because I’m a big fan of watching films and TV shows, I try to find things that I would be compelled to pay attention to. I have this miniseries [Olive Kitteridge] that I’m in that premieres the week before The Newsroom airs. So you&apos;re all over HBO. I&apos;m Mr. HBO. [Laughs.] No, I&apos;m just kidding. For a week. Are you ever going to get back on the musical stage? Maybe, if somebody ever really wants me to do it. I haven’t been asked to do theater in a while, I don’t know what the deal is. [Laughs.] Maybe they think I’m always out of town, or that because I’m on The Newsroom I left New York, but I still love the stage. I would love to get back up there one of these days. It’s fun and terrifying. Sometimes you’re up there and you’re like, "Why am I doing this?" and that’s awesome. Tara Aquino is the Complex Pop Culture editor. She tweets here. InterviewsThe NewsroomThe Heart MachineJohn Gallagher Jr.